There is one contractor that you can trust in order to get your interior surfaces cleaned, and that’s Cavalier Window Cleaning & Power Washing. Since 2001, we have been providing our customers with interior surface garage floor power washing because we understand that some homeowners like to keep up with the appearance of their garages. If you’re one of them, you’ll appreciate our power washing because it’s done by licensed professionals. Most homeowners see floor stains as nothing more than a headache. We seem them as a challenge that can be resolved through pressure washing. There are currently garage floor cleaners on the market, but none of them can remove stains like a professional pressure washing. In order to remove those stains permanently, you’re going to need to determine the real cause of the stains on your garage floor in order to prevent it from happening in the future. For painted garage floors, the simple solution would be to paint over it. Once you paint, however, you can no longer power wash without stripping the paint. What a lot of homeowners don’t know is that power washing can be brought indoors too. It all depends on the surface and what area you’re cleaning. Interior surface basement floors can be pressure washed, since they are constructed of concrete. You wouldn’t bring in a pressure washer to clean a living room floor or your kitchen, but the best way to get concrete clean and take off grime is to take advantage of the power washing services from Cavalier Window Cleaning & Power Washing. There are a lot of advantages that your floors will have over others that have not been treated. Hiring professionals allows you to get a first-hand look at your floors (garage & basement) when they are cleaned right. Selling your home requires a lot of preparation. You have to maintain the lawn and make sure that the exterior is kept up, as well as the interior. 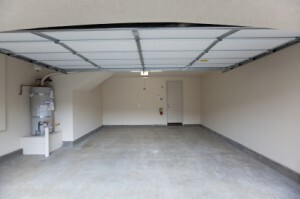 A major selling point of some homes is the garage and basement. In order to help sell your home faster; we recommend that you call us ASAP. We’re the helpful power washing techs in Charlottesville why will get your interior floors cleaned to your specifications. If you are looking for Interior Surfaces Power Washing then please call 434-823-1737 or 540-910-1434 or complete our online request form.